Can we achieve gender equality in less than a century? International Women’s Day (IWD) was first celebrated 105 years ago to recognise women’s achievements and to advocate for equality and progress. Recently, the World Economic Forum has suggested, based on our current rate of progress, it will take more than a further 105 years (until 2133) for equality to be achieved. 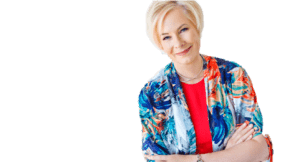 Karen is a recognized expert in helping leaders and organisations build their capability and increase their effectiveness. Karen is particularly passionate about women being given equal opportunity to develop and succeed in senior organisational roles. She was Associate Dean at Mt Eliza Executive Education, and is Chair of Emerge Women and Children’s Support Network which provides support services to women and children affected by domestic violence. She is a registered Psychologist, a member of the Australian Psychological Society and is a member of the APS Interest Group on Coaching Psychology. She is also a member of AICD. She has a Master of Psychology, an MBA, and a PhD in Leadership. Karen will lead a discussion that explores what we can do to avoid waiting another century. The conversation will focus on the breakthrough discovery that we have unconscious, as well as conscious, beliefs about gender. This seemingly innocuous set of beliefs about what men and women should be like underlies how we teach children and what we expect for them, who we choose to be our leaders, and how we conduct personal relationships including whether or not we condone violence between intimate partners. Despite their somewhat intangible nature, by focusing our attention on unconscious beliefs and how they influence decision making, Karen believes that there is an opportunity to significantly influence the rate of progress. Click below to register, or email me for further information.